How does an 8-earth year impact us? You’ll be surprised to learn it affects the weather, governments, earth changes, and more. Even for us personally, the 8-year affects our health and well-being, relationships, and many aspects of our lives. Think about your work and home environments — there are certain areas that are empowered and areas that aren’t. Obtain tips to improve your odds! Then from a Chinese Astrology perspective, 2019 is an earth pig year. Are you in the bottom six (not supported) or top six (supported) of the astrology signs? Needless to say this will be a fast-paced, informative, and interactive session. Be sure to pop over to the Facebook page and “Like” it so you’ll be notified when I go Live. Yes this is very helpful, practical, and valuable information, and I am very grateful you are taking your time to do this! 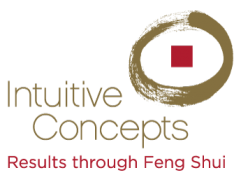 I am mostly done enacting the 2019 Feng Shui changes you recommended and we are all feeling the difference! Jacob and Dennis are especially sensitive to the energies this year and they are really noticing the positive changes after I place the remedies, which I always do with intention and affirmations. All is well with us, miraculously! I hope you are doing great as well. Much love to you and many blessings. I miss you! !